﻿New Here? Thanks for Visiting! I hosted Easter dinner…once. It required a ton of effort to pull it all together. One lesson from that cooking experience was that if you don’t plan properly it’s very easy to run out of time. I focused so much on the starters, main dish and sides that pulling together a dessert was out of the question. Thankfully my sister is the best pie maker I know so I called her up and she kindly brought one of her magnificent creations. What would I have done if my sister didn’t come through in the clutch? Chips Ahoy! chocolate chip cookies anyone? Decent product...wrong setting. 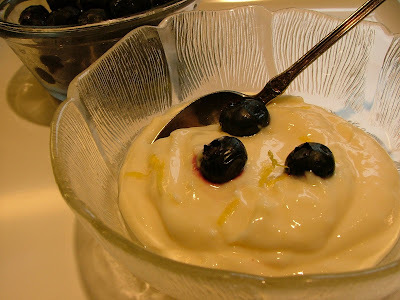 When I saw this Easy Lemon Pudding recipe in a LCBO Food & Drink magazine I thought it’s was the type of dessert dish I could have used that hectic Easter day. My sister's apple pie is way better than this dish but I'm sharing it in case you brave Easter hosts and hostesses are short on time and need a decent dessert in a hurry. I got your back! You'll only require 4 ingredients to make this pudding and if you’re fast you could probably pull it together in about 5 minutes. Squeeze, mix, top with berries and it’s ready to serve. My only suggestion is to serve it in a small bowl. It’s on the rich side. The 300 ml can of sweetened condensed milk in this baby provides quite the sugar rush. Whoa! Song Suggestion: When faced with a dessert time squeeze the first thing to do is remain calm...even if you're freaking out on the inside. The next thing to do is grab some lemons. Toss on Led Zeppelin’s "Lemon Song" and start squeezing like mad to the music. Not into squeezing lemons or this recipe? Then casually pick up the phone, dial the gifted baker in your family and beg him or her to bring a pie. ; ). Happy Easter! In a medium bowl whisk together condensed milk, sour cream and zest. 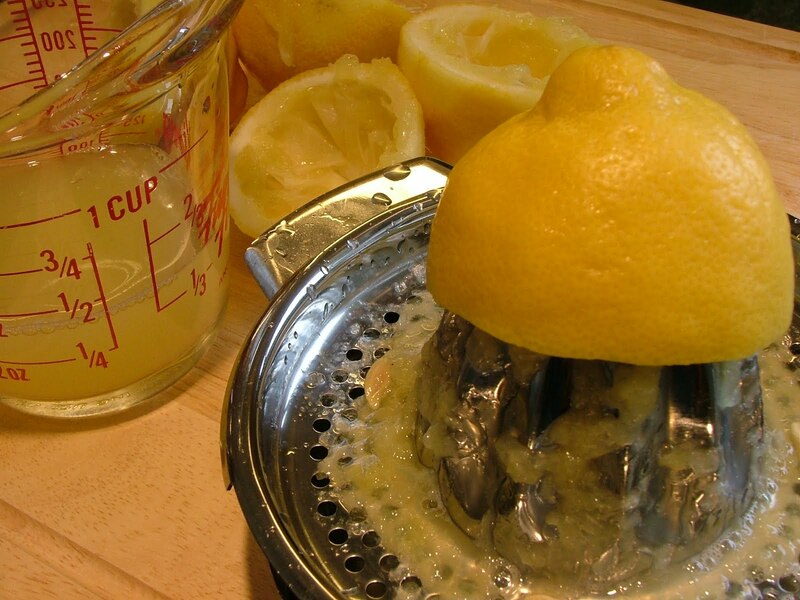 Gradually stir in lemon juice until combined. Chill before serving.